If you and your spouse or significant other are divorced/separated and you plan to share the pets over the holidays, make your preparations in advance. This means agreeing on the time and place for exchange with a backup plan in case of foul weather or other unexpected occurrences. The holidays are stressful for everyone, pets included. There's a lot going on and a lot that can go wrong. Plan for contingencies in advance. Make sure your pets are included in holiday festivities and not an after thought that gets shut up in the bedroom and ignored. If you can't agree with your ex regarding the pets, when the holidays are over, speak with a qualified animal law attorney and create an agreement - coined Petnuptials - in order to set out the terms and conditions of your pet sharing arrangement. For questions, please contact Peggy R. Hoyt, J.D., M.B.A., B.C.S. Dr. Michael Fox is a long time friend of our family - he's been an influence in my life since I was 10. The point he is making here is that the meat we are feeding our animals contains additives that may not be in the best interest of our pet's health (our either for that matter). I don't eat meat, but I still feed it to my pets, so it is still a big concern for me and for the health and safety of my pets. It's the latest rage - a Pup Nup - a prenuptial agreement with our soon-to-be spouse that governs who gets the pets if something happens to the marriage. Sound crazy? Not at all! It's your best defense against a legal battle with your now, soon-to-be-ex if your marriage becomes a statistic. Don't forget, 50% of all marriages don't survive. You might not have kids, but what about the pets? When my first husband and I divorced we had a dog and two cats. I got the dog and one of the cats. He kept the other cat and I got visitation rights. My current husband and I have 3 horses, 7 dogs and 2 cats. That would be a disaster if anything happened to our marriage. I know one lady who spent her retirement savings fighting her ex over visitation of their dog. They couldn't agree who would keep the dog and the other wanted rights to visit. Rather than "switching kids" at the local McDonalds or Burger King, they swapped at their vet's office. This was fine until one day when the vet techs reported he let the dog out of the trunk of the car! And you don't have to be married to have a pet custody dispute. 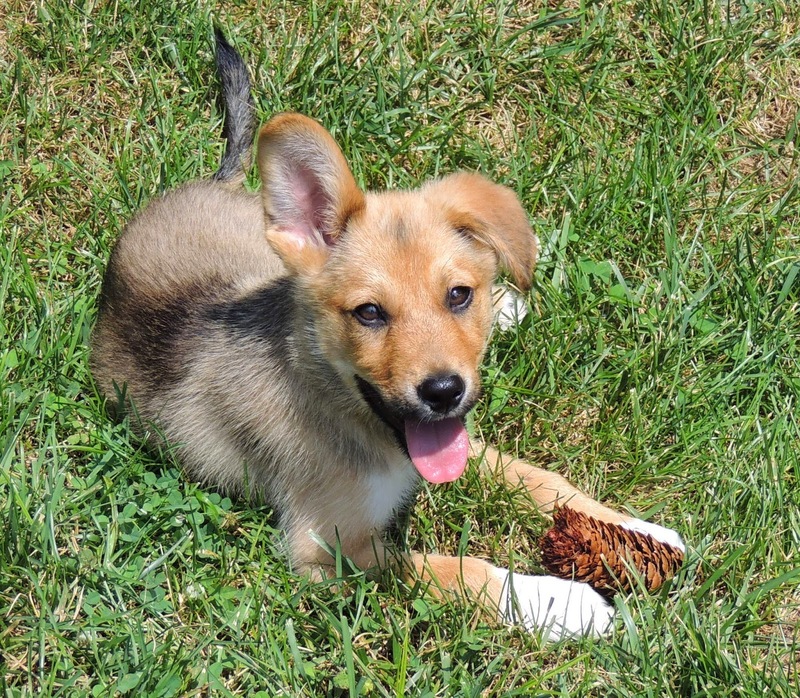 Unmarried couples often adopt pets or buy each other a pet as a gift. Then, when the relationship ends, there's no clear answer to who keeps the pet. When two friends of mine split, she wanted the dog because she bought it (for him) and he wanted the dog because it was his gift. Today, he has the dog and she visits. He did buy her another dog, but as you pet lover's know, it didn't diminish the love she had for the first - so now there's a new dog to love. A Pup Nup could avoid all this legal wrangling when relationships go bad. Planning ahead for how pets and property are going to be divided is well advised. For more information, don't hesitate to call The Law Offices of Hoyt & Bryan, and ask for Peggy Hoyt. 407-977-8080. Joan set a great example for all pet lovers - make sure your pets are cared for in the event something happens to you. This doesn't mean just in the event of your death. Your plan for your pets needs to include provisions in the event you should become disabled and unable to care for your pets. 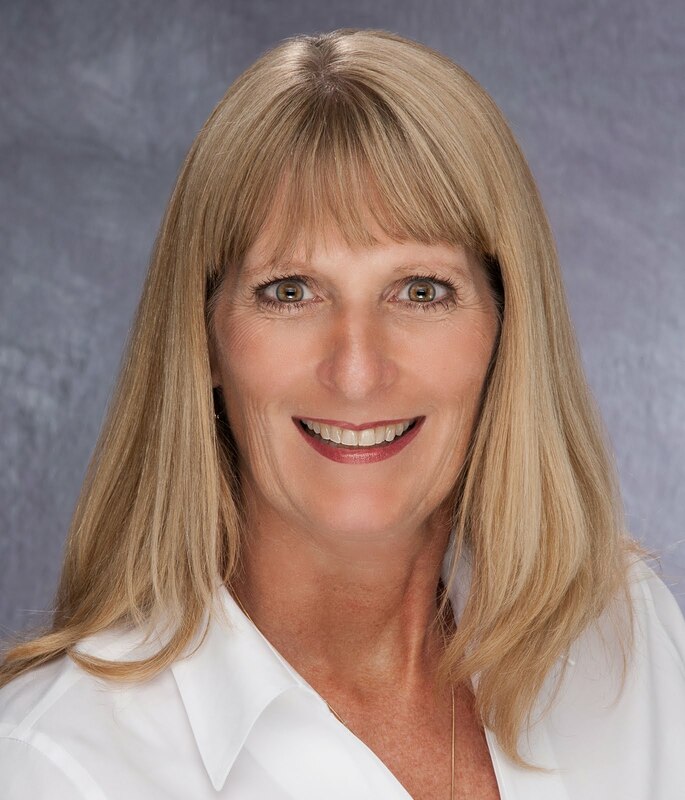 "All My Children Wear Fur Coats - How to Leave a Legacy for Your Pet" by Peggy R. Hoyt outlines the many different ways you can include your pets as part of your estate plan. Planning for your pets doesn't have to mean a comprehensive pet trust but you have to be specific about who should be responsible for your pets, how you want them cared for and the resources necessary to ensure their care is consistent with your desires. 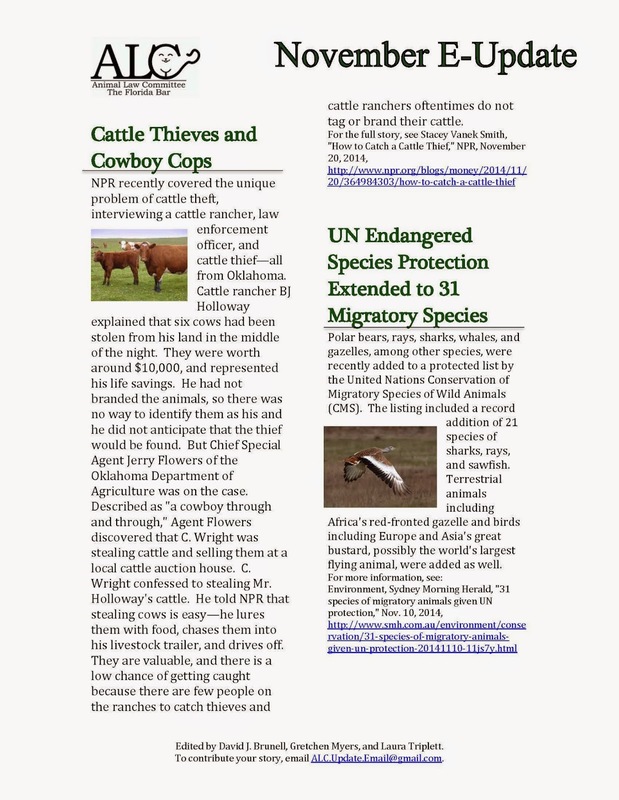 If I want someone to take on the responsibility for my 3 horses, 7 dogs and 2 cats, it would be unfair if I didn't provide the resources necessary to make this possible. In this case, a pet trust is one of the best ways to ensure there are sufficient funds and professional oversight for the investment and distribution of the money for the benefit of the pets. You'll also want to choose your remainder beneficiaries carefully - you don't want to unintentionally create a situation where family members or other disgruntled heirs try and change the terms of your trust. We just remembered the anniversary of 9/11. Let's not forget the dogs that participated in this event and were instrumental in helping to locate so many of those affected by the days' events. If you are interested in the changing field of veterinary malpractice, this site provides a very good survey of veterinary malpractice along with articles and commentary. If you are a pet lover, then you have probably experienced the loss of a loved pet. There are lots of different ways to memorialize your pet, everything from planting a tree, writing a song or poem, to a pet funeral complete with casket and headstone. Every person deals with the loss of a pet differently. 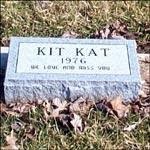 There is no right or wrong way to memorialize your pet. Just do what gives you the most comfort - now and for the future. International Assistance Dog Week was created to recognize all the devoted, hardworking assistance dogs helping individuals mitigate their disability related limitations. In addition to honoring assistance dogs during their special week, one of the goals is to raise awareness about these very special and highly trained animals. This year International Assistance Dog Week is August 3-9. 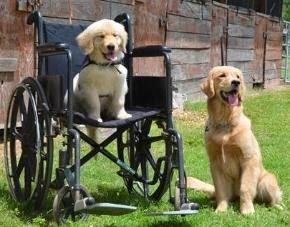 Assistance Dogs transform the lives of their human partners with debilitating physical and mental disabilities by serving as their devoted companion, helper, aide, best friend and close member of their family. Assistance dogs include Guide Dogs, Service Dogs, Hearing Alert Dogs, Seizure Alert/Response Dogs and Medical Alert/Response Dogs. This is the time of year when it is really important to protect your pets - thunder storms, fireworks, etc. Check out this article by the Pet Alliance of Greater Orlando for some holiday safety tips for your pets. 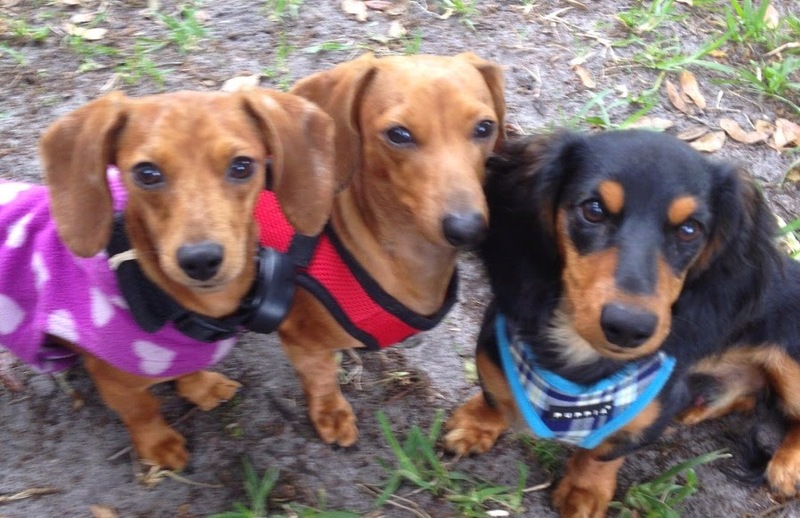 The Florida Bar Animal Law Committee - June E Newsletter now available! 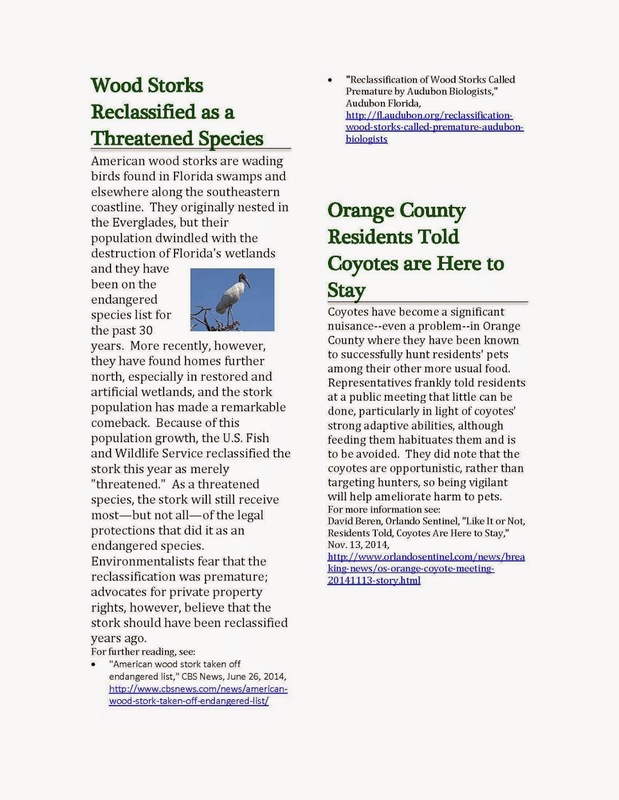 The June issue of The Florida Bar Animal Law Committee E Newsletter is now available for viewing. Please share. If you've never heard of an Animal Crush Video, you need to be aware of this new ruling! Breed dry dog food as they have the potential to be contaminated with Salmonella. 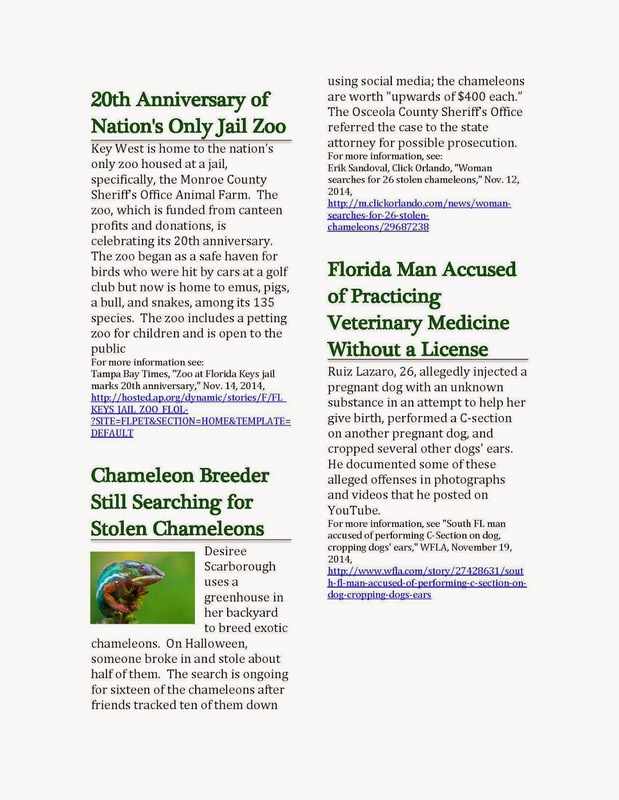 The May Issue of the Florida Bar Animal Law Committee E-Newsletter is now available for viewing. It's dog bite prevention week. Here are some tips to consider to keep you and your dog safe. Here is a nice comprehensive piece on financial planning matters that may impact your pet. It is worth a read and some serious consideration. 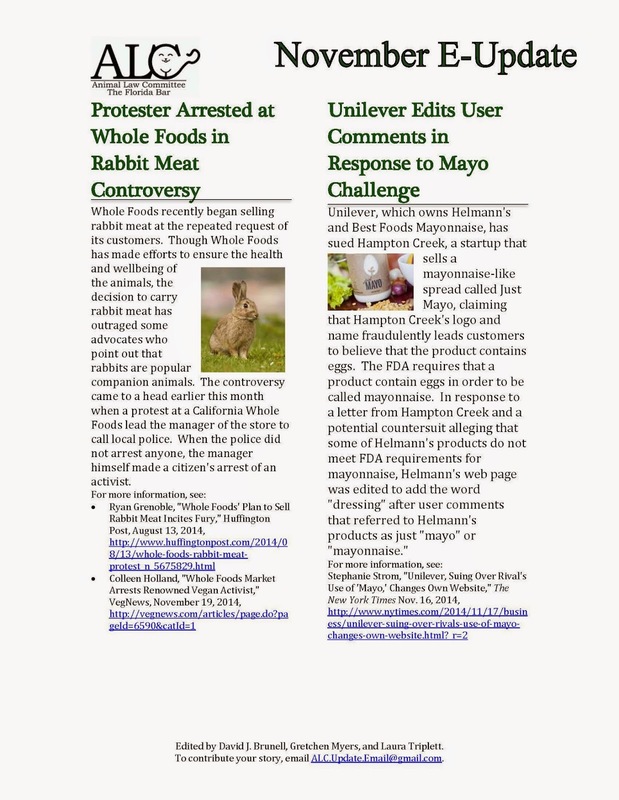 This lawsuit may be a first step in getting pet food manufacturers to ACTUALLY tell the truth about what is in their pet food products. Reading labels can be confusing and is often misleading. Good for you Purina! Hold the whole industry to a higher standard and we all win! Pet Trusts are obviously one of my favorite topics so here's another article commenting on them. Pet owners who want to ensure their pets will be cared for in the event the owner dies before the pets NEED to do planning. You can NEVER assume that even the people who love you most will love your pets. It just doesn't always happen. If you are serious about protecting your pets, a Pet Trust is the right way to go. Work with a qualified professional who is also a pet lover and has created a Pet Trust for their own pets. Make sure they understand how important this is to you and you want to make sure your pets are cared for in the proper way. If you want to read more, check out "All My Children Wear Fur Coats - How to Leave a Legacy for Your Pet" - www.LegacyForYourPet.com. Also available on Amazon. This article says that researchers that use animals and vets who are afraid of malpractice don't want our pets to gain a status greater than that of property. The reality is, it is already happening. Yes, animals can inherit. Yes, some courts have recognized that animals are more than mere property, equivalent to a toaster. Yes, they are family members and we love them as much (or more sometimes) than members of our family. Why shouldn't they be afforded a status that is greater than a chair or a toaster? Here are some good tips to follow if you learn that your pet's food has been recalled. This site tries to post recalls as we become aware of them. Can Electronic Cigarettes Kill Your Dog? You Betcha! Here's an article everyone should read. Those "harmless" electronic cigarettes have been recently linked to the death of a dog - who ate the nicotine capsule. As you know, dogs eat anything that hits the ground. This could be deadly to your dog. 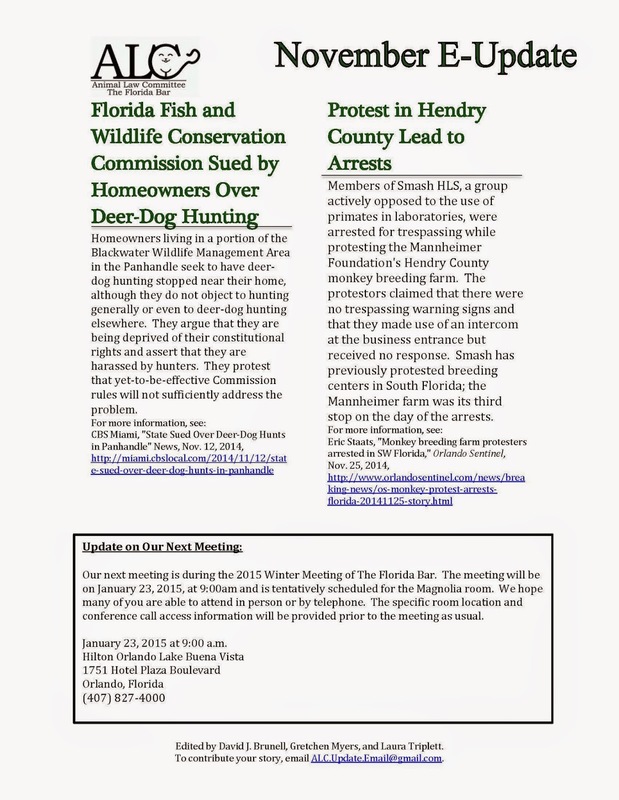 I've attached a link to the pending animal legislation in Florida. In particular, I've attached the staff analysis for the bill related to service animals. As you may be aware I have puppy trained two service dogs so I have a special interest in this bill. It clarifies some definitions and suggests that there may be a second degree misdemeanor for people trying to use fake service animals or holding themselves out as a trainer. If my cats think I'm just a larger cat, I wonder what my dogs think? Rocks in Natural Balance Cat Food? If you feed Natural Balance to your cat, you'll want to be aware of this recent finding and report to the FDA. This just in on Pet Insurance companies. Use this handy chart to compare companies and policies. Pet insurance is one of the fastest growing products in the insurance industry. It's unbelievable that he's only being held on $2,500 bond - it should be $25 million, meaning he should never get out of jail. We still need more teeth in our animal cruelty and animal abuse statutes.